Saudi Arabia, Egypt And Other Arab Nations Cut Diplomatic Ties With Qatar : The Two-Way The coordinated move closes Qatar's lone land-based border crossing. It comes amid accusations of support for terrorism and suspicions about ties with Iran. Saudi Arabia and Egypt are leading a group of Arab nations that are cutting ties with Qatar. 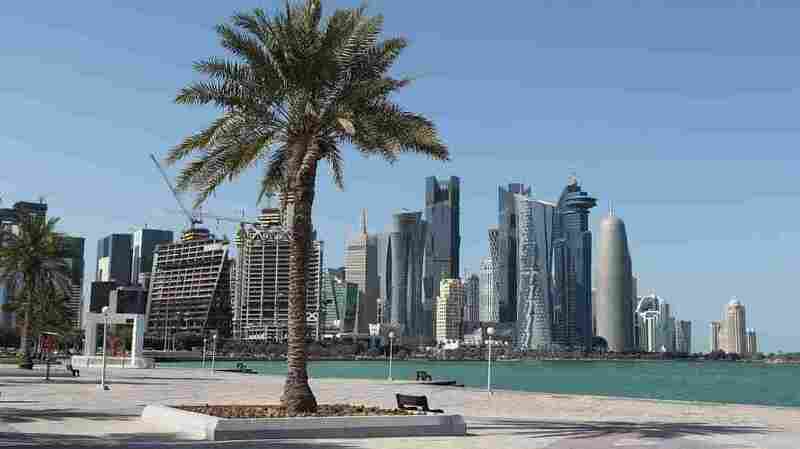 Here, Doha's corniche is seen on Monday. Saudi Arabia and at least four other Arab nations are cutting all ties with Qatar, citing concerns over terrorism and regional stability and igniting debate over the rift's impacts among key U.S. allies in the Middle East. Qatar's government "expressed deep regret over the decision" and said it was the victim of "an instigation campaign" that is meant to hurt the nation. "Such measures are unjustified and are based on baseless and unfounded allegations," the government's foreign ministry said in a statement. The moves came in quick succession, with Saudi Arabia, Egypt, the United Arab Emirates, Bahrain and the Maldives all announcing that they were ending diplomatic relations with Doha and giving Qatari diplomats and citizens days or even hours to get out of their territories. The nations are closing ports and airspace. Saudi Arabia is also shutting its border to neighboring Qatar, locking the state out of its only over-land border crossing. 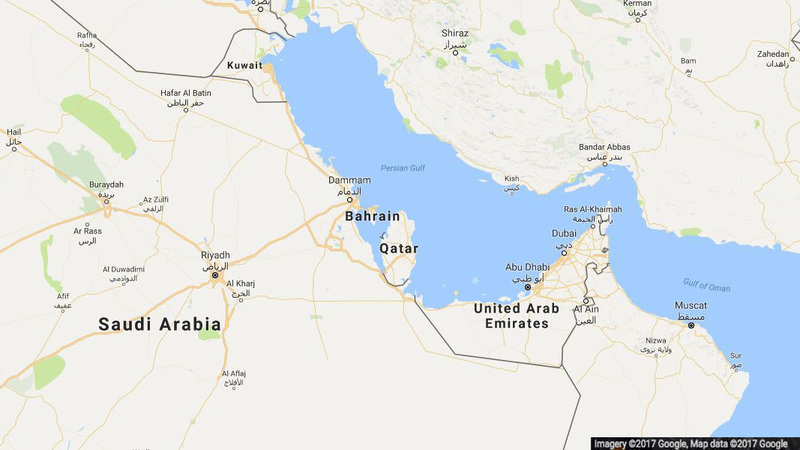 Qatar is a peninsula that is otherwise surrounded by the Persian Gulf. Saudi Arabia is closing its border with Qatar, leaving citizens of the peninsula nation scrambling for food and supplies. The Qatari government says its citizens won't be affected, but news of the closing sent citizens rushing to grocery stores to stock up on supplies. The country imports 90 percent of its food, "mostly through the land border with Saudi Arabia," according to the UAE site The National. "I've never seen anything like it — people have trolleys full of food and water," a resident told Doha News while at a Carrefour grocery store in a mall. Saudi Arabia's government says it's cutting ties to protect itself "from the dangers of terrorism and extremism," the Saudi Press Agency reports. The Sunni-ruled Arab nations are unhappy with Qatar's ties to Shiite-ruled Iran. They also say its authorities have supported both ISIS and al-Qaida. Egypt has led the way in faulting Qatar for giving a safe haven to leading figures of the Muslim Brotherhood. The Saudi news agency also said Libya and Yemen had cut ties with Qatar, but those claims have not been independently verified. Qatar blamed Egypt for coordinating the severance of ties and said the other countries' goal is "the imposition of guardianship over the State." As for the U.S. response, both Secretary of State Rex Tillerson and Defense Secretary James Mattis say they don't think the decision will affect the fight against terrorism. "I do not expect that this will have any significant impact — if any impact at all — on the unified fight against terrorism in the region or globally," Tillerson said in Sydney, where he's attending security talks along with Mattis. Mattis predicted the diplomatic rift will be healed, but he wasn't sure when. "I believe Iran's actions speak louder than anyone's words," Mattis said, "and they are going to incite the international community in that region to try to block them." NPR's David Welna, who is traveling with Tillerson and Mattis, notes that the rift among U.S. allies "comes just 10 days after President Trump addressed an anti-terrorism summit of Arab leaders in Saudi Arabia, and some see Trump's siding there with Sunni monarchs and his rhetoric against Iran as having given a kind of green light to blackballing this Gulf nation." 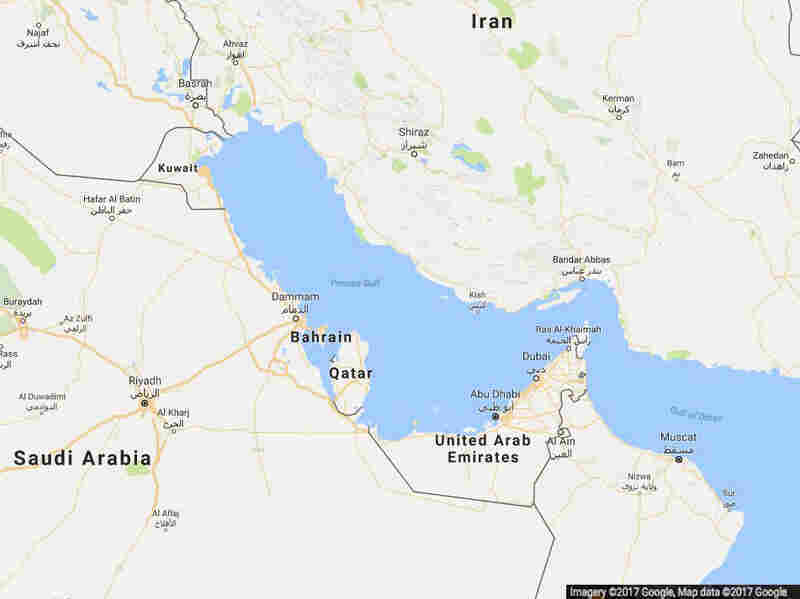 As David notes, "the biggest U.S. air base in the Middle East is in Qatar, while the Navy's fifth fleet is based in Bahrain."